Tangerine Essential Oil 4 OZ. This simple indulgence with herbs is my lifelong quest about how to obtain Healthy Beauty for Skin, Hair and Spirit. 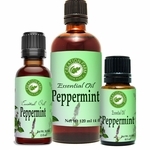 These products are designed from a holistic and herbal education. Knowledge developed from 20 years experience making natural herbal soap, shampoo bars and skincare from natural botanical oils for my livelihood and health. I have assembled to present a collection of Premium Aromatherapy Oils and Natural Ingredients for making the most natural and highest quality botanical based herbal soaps, shampoo, toiletries, natural perfumes and scents possible. These essential oils may be used for scents, aroma synergies, in diffusers, soap making recipes, in glycerin base or natural hair care. These world-class steam distilled essential oils of herbs have several therapeutic benefits when blending synergies for aromatherapy or herbal skin care and toiletries. Our Natural Aromatherapy soaps are deliciously-scented with pure essential oils and herbs. Essential oils of Tea tree, Lavender, Rosemary, Sweet Orange, Peppermint and others alone and in aroma blends provide excellent herbal benefits skin care. 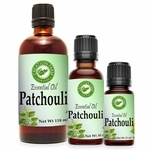 These aromatic products also contain specialty herbal ingredients like Organic Extra Virgin Coconut Oil, Evening Primrose Oil, Cherry Kernel Oil, Pomace Olive Oil, and Castor Oil. Many of these essential oils may be effective treatments for Problem-prone skin, Rosacea and other skin maladies. 2.The original hand made soap with herbs in North America. An all natural and botanical handmade herbal soap produced by Anna Carter Sangemino since 1978 beginning in the Blue Ridge Mountains of North Carolina. Scented with Pure essential oils for natural fragrance. Anna's hand made soap is often used for specific skin care solutions, types include dry skin moisturizing, shampoo body, poison ivy, and oily or sensitive skin issues.